True or False: An applicant can get a new "B" license without testing if he or she is already acting as an "A" class qualifier on an existing license. 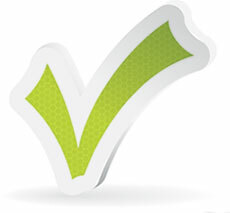 True or False: If an applicant doesn't meet the experience requirements, CSLB will refund the application fee. If education or apprenticeship time is granted to an applicant, what is the minimum amount of hands-on journey-level work experience that must be verifiable? A licensee has ______ days to comply with an outstanding liability entered on a license? True or False: You are forbidden by law (B&P Code section 7071.13) from listing in your "advertising, soliciting, etc.," that you are bonded. May a home improvement salesperson? work for more than one contractor?